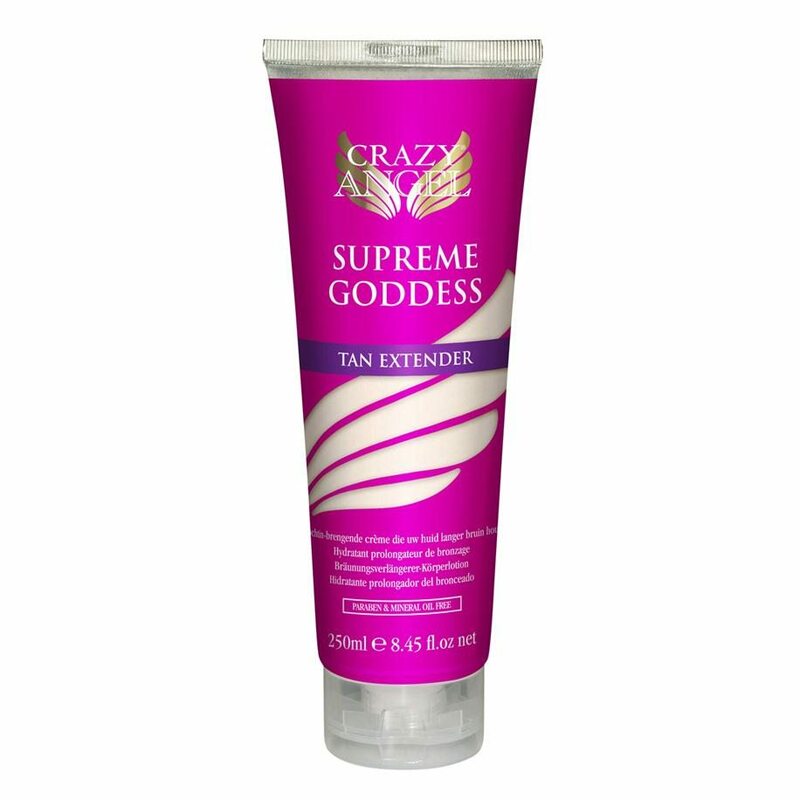 Crazy Angel Golden Mistress is ideal for those angels looking for a light natural golden tan. Quick drying formula glides effortlessly onto the skin leaving an instant golden glow. Infused with Bearberry, this alcohol free solution moisturises and hydrates to leave skin silky smooth. The lush, fresh fragrance combined with naturally derived DHA and Erythulose provide a natural, gorgeous glowing tan.